In 1961 Marcel Guigal joined the family business at the tender age of just 17. His father had gone blind quite unexpectedly, and the task of running the business fell to Marcel, who like Philippe, was an only child. Under Marcel’s direction Guigal expanded enormously over the next few decades. Guigal bought the Vidal-Fleury business in 1984, and then acquired, restored, and finally relaunched the wines of the historic Château d’Ampuis. At the same time, Guigal forged a world-wide reputation for the exceptional single vineyard Côte-Rôties of La Mouline, La Turque and La Landonne. 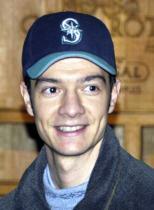 It was therefore, a heavy mantle of responsibility that the young Philippe donned in 1997, having obtained no less than three winemaking and business degrees, from the universities of Dijon and Bordeaux, then an international MBA, which saw him, study in 17 countries around the world in just 10 months. The father/son relationship is clearly a very good one: Philippe describes Marcel as his “best friend”. Certainly, his baptism of fire as winemaker was made slightly easier by fortuitous timing: he started with three great vintages in a row that he says were “easy to vinify – the wines made themselves” in 1997, 1998 and 1999. That honeymoon period did not last long however, with the back to back extremes of 2002, the worst of Philippe’s life, and the exceptional heatwave vintage of 2003. Philippe says he firmly believes that his £5.99 Côtes-du-Rhône wines are just as important as the rarefied single vineyard wines: “How can you represent the best of a region, if you do not prove that the region is capable of excellent wines of this everyday level?” Guigal is a huge négociant business, with relationships to growers and other producers stretching back for decades. Chateau d’Ampuis is a new Côte-Rôtie from Guigal, joining the fabled La Mouline, La Turque and La Landonne at the very top of their range. The first production was in 1995, after a long legal battle to get permission for a “Chateau” labelled wine (unheard of in this Appellation). The old castle itself had to be restored from a ruin, and then Guigal requested the government classify it as a national monument. When this status was granted, it meant they had access to national archives (not usually available to French citizens). Here they found documents proving wine was produced as Côte-Rôtie Château d’Ampuis as long ago as the 16th Century. Having gathered documentation to prove that there was a historical precedent, they applied and were granted permission to rebuild the vineyards and use the word Château in the name of their wine. Since then, the rules have been changed to say there would have to have been a continuous production at the castle from 16th century to the present day, thus closing a bit of a legal loophole. The tasting featured the extraordinary La Mouline 2000. La Mouline is a one-hectare vineyard, producing just 5,000 bottles in a good vintage; only 2,200 bottles in 2003. It is the oldest vineyard in Côte-Rôtie, the vines average age being 80-years-old, but with some vines from 1893. There is around 11% Viognier in the vineyard. La Mouline is structured on Roman terraces – “it’s a museum and vineyard at the same time” says Philippe. The walls of the terraces retain heat, making them the “second sun” of La Mouline. It is an amphitheatre shape, which also retains the heat from the stones overnight, with very warm evenings – typically 28 or 29 Centigrade in August overnight – and it is always the first vineyard to be harvested. Philippe jokes that he is very happy to say it is “unique” and “the best” of its region, because Guigal also owns the vineyards on all sides of it. Vinified in 50% steel, 50% one-year-old casks, this is cool fermented for 25 days, and bottled after nine months. Made from partly bought-in fruit, partly estate fruit, and partly purchased Marsanne and Roussanne wines. It has a beautifully buttery, mellow, ripe pear and honeysuckle nose with a real richness and slightly smoky, spicy depth. Mouth-filling and ripe, this is weighty and heavily textured on the palate. There’s a honey and straw-like note, but also a deep, buttery core of nectarine and ripe peach, with a fine, vanillin-edged, warming finish. There’s a decent bite of acidity that balances and freshens the finish. Terrific wine at a modest price. Around £12,. This wine is a blend of 93% Marsanne with 7% Roussanne, and all vinification in steel followed by 24-months in one-year-old casks. Ideally Philippe says it should be drunk around 12-years-old. This wine is made from purchased fruits and wines. Crisp, more mineral and more herbal than the St Joseph, there is still a glimpse of green in the colour. A powerful, almost liquoricy oak quality emerges, but so too does a fine, floral-edge of fruit that has a subtle, peachy depth. Creamy texture, and a slightly creamy flavour too, and a vanillin overlay, is slightly overpowering, with a big, spicy quality and powerful alcohol, but perhaps lacks a little definition and a touch of mid-palate freshness of fruit. Very good, but may improve further. Around £17. Condrieu has 2,500 years of history of Viognier, which came originally from Dalmatia in the former Yugoslavia. It is a grape that is difficult to grow – in the old days producing a useable crop only one year in three or four. At one time Viognier had fallen to just seven hectares in Condrieu, but efforts in the 70s to rebuild the Viognier vineyards with selected clones have re-established the grape. Guigal uses only natural yeasts and slow fermentation. It has a light green colour and a very different nose from the Hermitage, with a pure, aromatic ripe, juicy pear and peach quality that is brilliantly focused, supported by a spice and smoky richness of oak. There is a twist of something mineral that adds complexity. The palate has a cool, creamy texture and a very elegant character. Fruit is quite lemony and relatively lean, with a touch of lemon peel and a huge twist of grapefruit acidity in the finish. Some fatness does develop through the mid-palate in this excellent wine. Around £20. The blend here is Mourvèdre, Syrah and Grenache – one third each. The wine spends two years in large Foudres, mainly to protect the Grenache from oxygen, and retain its freshness. Nice pale to medium ruby/crimson. Quite a brackish, herb and liquorice note at first, that is very meaty, though a richness of red fruits comes through. On the palate there is a good freshness, with a lovely ripe fruit quality that comes through, that is keen and liquoricy, with raspberry and dry, mouth-cleansing tannins. Very good indeed. Around £13. 85% Grenache, 5% Syrah, 5% Mourvèdre, 5% other grapes. This spends two-years in foudres. Philippe works here with the power of the Grenache to make a large-scaled wine that will last. The vines are old (around 75- to 8-years old), so there is a natural concentration. Slightly darker, richer colour. Quite a meaty, grilled quality here, with dark spices and some herbal notes. Quite lush and smooth, with a meaty, full fruit richness, and a really deep, liquoricy edge. Big, strapping tannins, but these are ripe and polished, and a fine acid backbone keeps this sharp. Very good indeed/excellent. Around £19. Again a blend of Guigal’s own 13 hectares, purchased fruit and grapes. Very traditional vinification with remontage (pumping over) twice per day, and then 24-months in second-fill casks.It has a very vivid purple / crimson colour, with a pink rim. This has a much tighter, more schisty and charcoally nose, with a nice quality of dark, cherry and raspberry fruit. On the palate it is quite dense and solidly packed with dark, quite dry and leathery fruit, with drying tannins and a fresh raspberry acidity. A savoury wine of very good quality, if no great length. Very good/very good indeed. Around £13. 50% new oak, 50% one-year-old. A solid, even crimson colour. Really quite closed, with gently leathery, slightly grilled red fruit nose and a background of spice. The palate has dry, savoury qualities with not a huge depth of fruit, but a nicely balanced tannin and acid framework, with well-handled oak. All of that does make this harmonious, and it has fine savoury appeal, with plenty of spice on the finish. I find this lacks a little fruit and generosity through the mid-palate, but is surprisingly good for the vintage. Very good indeed. Around £30. The “Blonde” vineyards are on chalky, schist soils that express finesse in the Syrah, whilst “Brune” has more clay giving higher polyphenols and more colour and structure. It spends 30 to 36 months in 40% new oak, 60% one-year old oak, and is made from both estate and purchased grapes. There are 130 owners of the 230 hectares of Côte-Rôtie, and Guigal owns 20 hectares, but buys 50, so produces one-third of the total Côte-Rôtie output. This has automatic pigeage (punching down), and about 5% Viognier. It is a vivid, dark ruby colour with a little warmth at the rim. Dark, ripe cherry and little violet notes dominate the nose. The palate has a lovely racy finesse of black-edged cherry fruit, with a fine, silky mouthfeel and lovely crisp-toned cherry fruit melding with a chocolaty darkness and ripeness of tannins. Excellent. Around £30. The average age of the vines here is 50 – 70, and it spends 38 months in new oak casks. Around 7% of Viognier is co-fermented with the Syrah. It has a lovely dark cherry colour. Deep, sensuous, very chocolaty and dark plum fruit on the nose, and sweet, fudge-like quality. There are little hints of briar and truffle. On the palate it has very good concentration, and a fine, silky quality with a harmonious, deep, very composed black fruit licked with tobacco and exotic spices. Terrific concentration and length in an excellent wine. Around £50. This is made from 100% Côte Blonde fruit. It sees almost four years in new oak before release. Guigal has the longest experience of using new oak in all of Rhône, and has experimented with all sorts of oaks, all sorts of toasting and all sorts of tonneliers. The wine is fermented in stainless steel, but goes through malolactic and ageing in barrel – a Burgundian technique. Philippe will de-stem according to vintage conditions; all stems come off in less ripe, “green” years, but he prefers partial de-stemming where possible. The colour is a dense, even dark crimson. It has a deep, sonorous, cherry and herb-scented nose, with gentle toast and a chocolaty depth, and a real sense of plushness. There are little notes of blueberry and floral highlights too, in a pure but complex fragrance. Lovely fruit on the palate here; really fine, rich, ripe cassis and black cherry fruit, with a medium-bodied, silky mouthfeel and very smooth texture. The finish has a great suppleness and a bittersweet chocolate and espresso depth, but it stays fresh, cherry-lifted and harmonious in the finish. Very good length too, with spicy, rich and toasty notes playing against fine acidity and a tight tannic structure. Outstanding. Around £140.